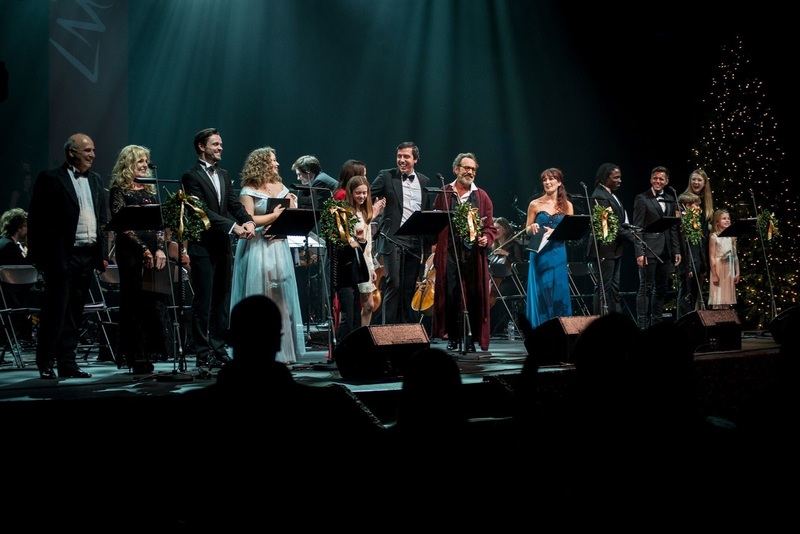 During this festive season, the recently formed London Musical Theatre Orchestra has honoured the theatregoers with a special gift. 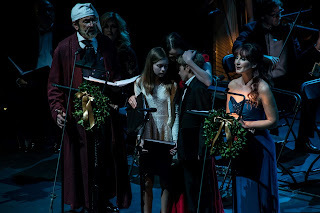 On the same date the novel was first published in 1843, the musical adaptation of Charles Dickens’ A Christmas Carol is performed in the capital for the very first time. Written by Mike Ockrent and Lynn Ahrens, with music by Alan Menken and lyrics by the same Lynn Ahrens, this concert version of the Broadway sensation has filled the Lyceum Theatre with beautiful melodies and meaningful dialogues, in a true Christmas spirit. The story focuses on the moral journey of Ebenezer Scrooge (Robert Lindsay), a misanthropic money-lender whose icy heart can’t be melted by the sight of the surrounding poverty nor by the genuine care of his family. But things are bound to change when, the night before Christmas, his deceased business partner Jacob Marley (or at least his ghost, interpreted by Norman Bowman) pays him a visit and, full of regret, warns him about the consequences of his wrongdoing. Some more ghosts are also on their way. At one o’clock, the Ghost of Christmas Past (Madalena Alberto) appears to remind Ebenezer of all the misery he went through in his childhood. 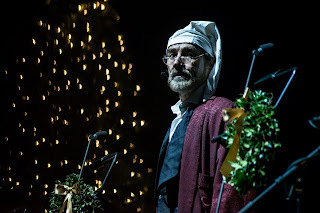 When the clock strikes two, the Ghost of Christmas Present (Hugh Maynard) takes the crabby man around the city to look at how the clerk Bob Cratchit (Alex Gaumond) and his own nephew Fred (John Addison) are having a lovely Christmas with their families. Lastly, it’s the turn of the Ghost of Christmas Future (Carrie Hope Fletcher) to show the lender what the consequences of his greed will be: none of the sickly children will survive and he will die alone and unmourned. The grumpy lad has learnt his lesson. . .
immerses himself in the part with such an enthusiasm that he nearly forgets he’s got some lines to follow. The cast is exceptionally talented and, by deliberate choice, big names are side-by-side with first-time professional performers. 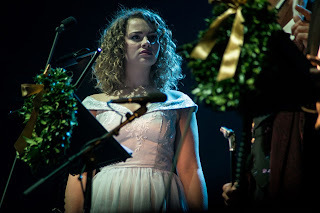 Some heart-warming ballads like Christmas Together involve the whole ensemble, but during the upbeat Abundance and Charity the singers dutifully retire side-stage and leave the limelight to the conductor Freddie Tapner and his brilliant 32-piece orchestra. later, the conductor has luckily recognised the full potential of his inspiring project and has finally opened its doors for the public to enjoy the tons of positive energy that they transmit. The late Mike Ockrent adapted A Christmas Carol for the stage keeping in mind the traditional British pantomimes that he used to attend with his family as a child. In the cavernous Lyceum, the LMTO easily manages to recreate the same festive vibe, with the audience eager to interact with the performers and jump on its feet during the catchy Finale. The 2017 season will be announced soon and I hope that there will be more regular outings and another magic Christmas treat like this one.